"You must take action now that will move you towards your goals. Develop a sense of urgency in your life." - H. Jackson Brown, Jr. Need a Nudge to Do What You Have Always Wanted to Do? Stepping into a new situation, career, or job can be scary, but less so if you have someone to remind you of your objectives. We generally know when we are ready for new adventures and situations; we just need a nudge. Even Tiger Woods has a coach! 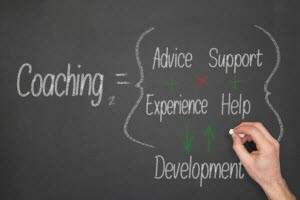 A coach can guide you through the complexities of skills assessment, planning, career and lifestyle changes. As the good witch in the Wizard of Oz told Dorothy, “you always had it.” You’ve got it, but you may need a nudge or a fresh perspective. My approach when working with clients is of collaboration. It's your life, and my role is as facilitator to help you clarify your truth. Don't Try to Do this Alone! Coaching can broaden your viewpoint to allow you to consider unexplored options. A coach provides a safe place for you to strategize, practice and build confidence.